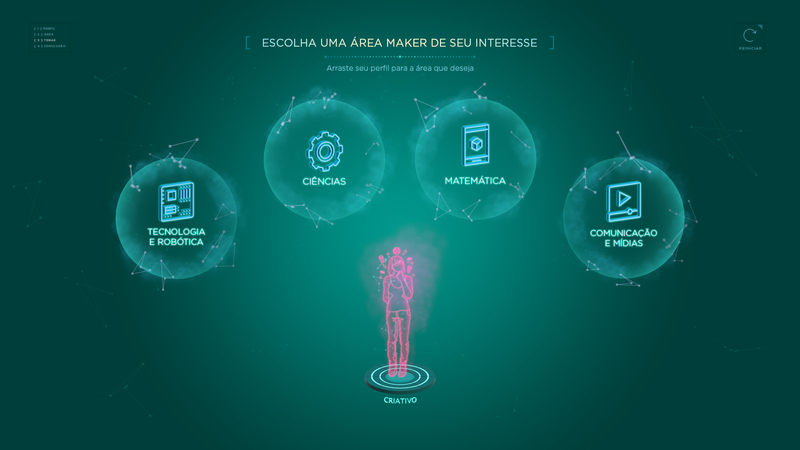 It never has been so interesting to learn: get to know the interactive experiences that we developed for the Knowledge Olympics Event. 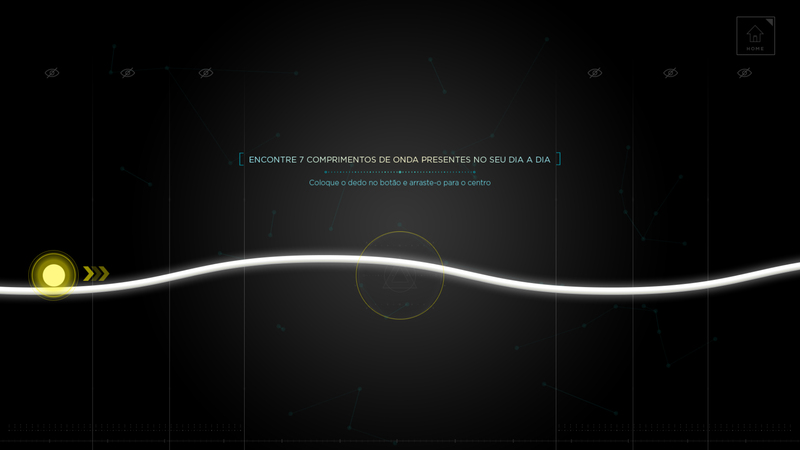 In a super technological and interactive era, the events also need to reinvent themselves. Today, in addition to call public’s attention, companies need to generate remarkable experiences for people. 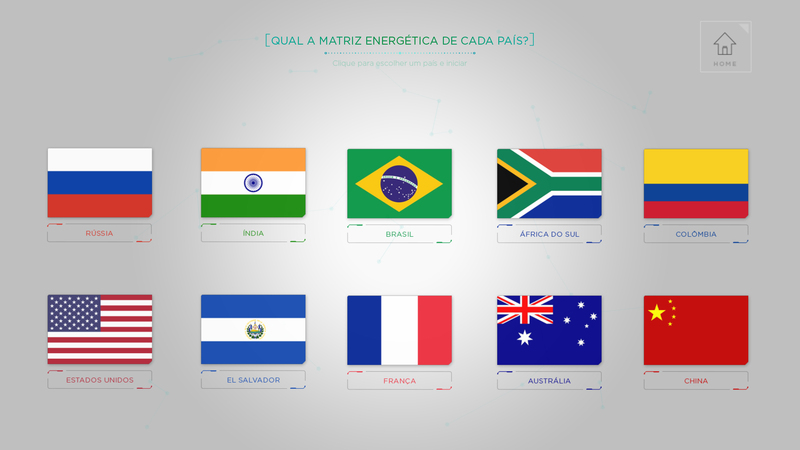 That’s why SESI sought us to ensure that the Knowledge Olympics Event, the largest professional competition in the Americas, was a success in terms of educational and interesting experiences. For the event, we developed four games for Touch Table, three of then connected with a holographic pyramid. All design has a futuristic aesthetic and the technology values physical and virtual interactions. 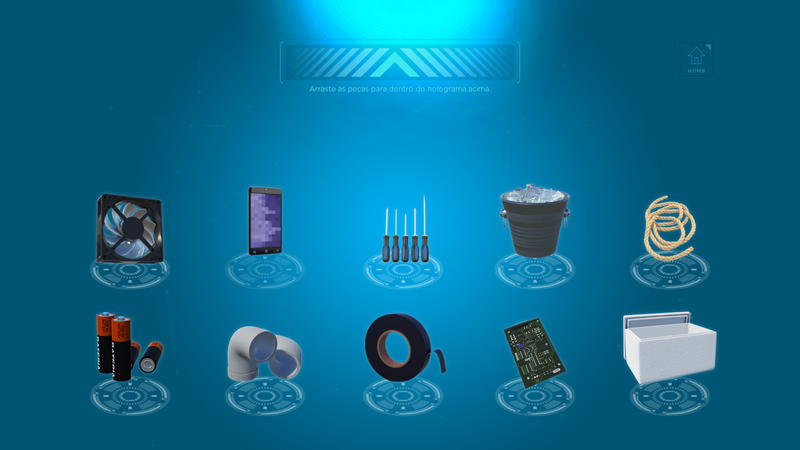 *Drag the object to interact with the 3D structure that we developed for the holographic pyramid. 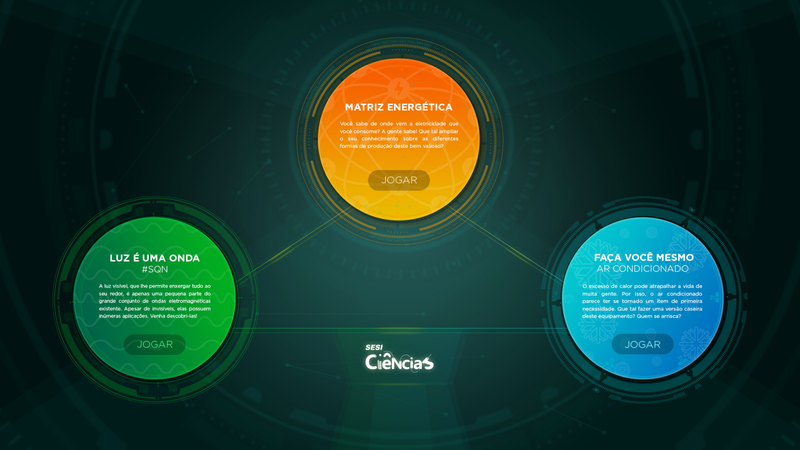 The SESI Ciências Touch Table contains three games, all of them aiming to help in learning about scientific topics. 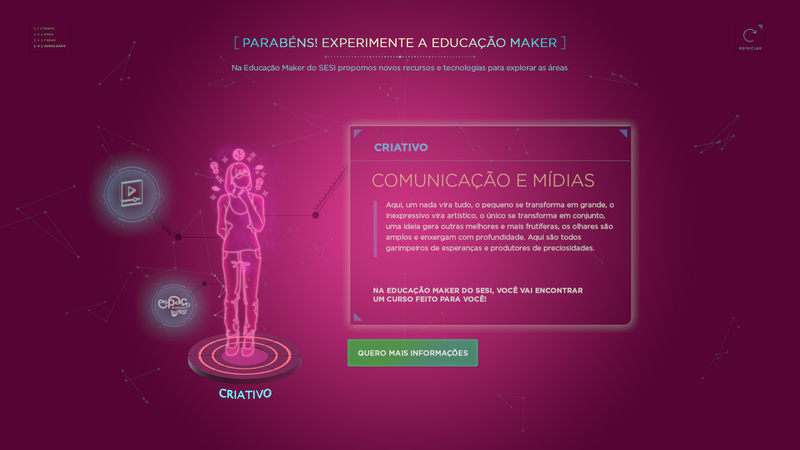 Through the Touch Table, the student interact by answering the questions of the game, and all the results of the questions appear in real time in the holographic pyramid connected with the Touch Table. 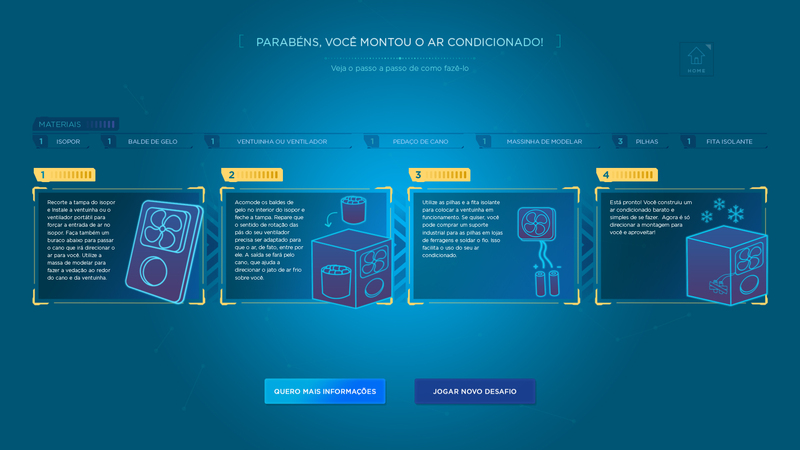 In order to assist people’s autonomy, the experience developed with the technology of Touch Table teaches to mount an air conditioner in a homemade version of the equipment, providing the knowledge necessary to break the paradigm that it is not possible to build a device alone and with very simple features. 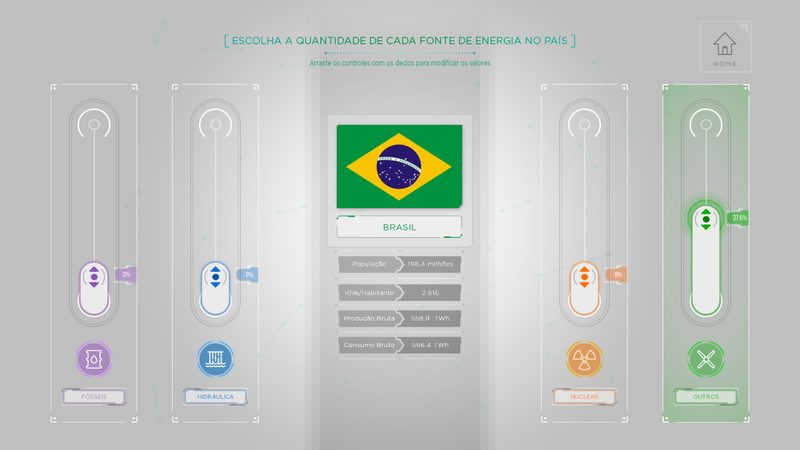 The game, aimed to teach about possible energy solutions, plays a role of awareness about where the electricity is consumed and its relation with costs, risks and benefits. 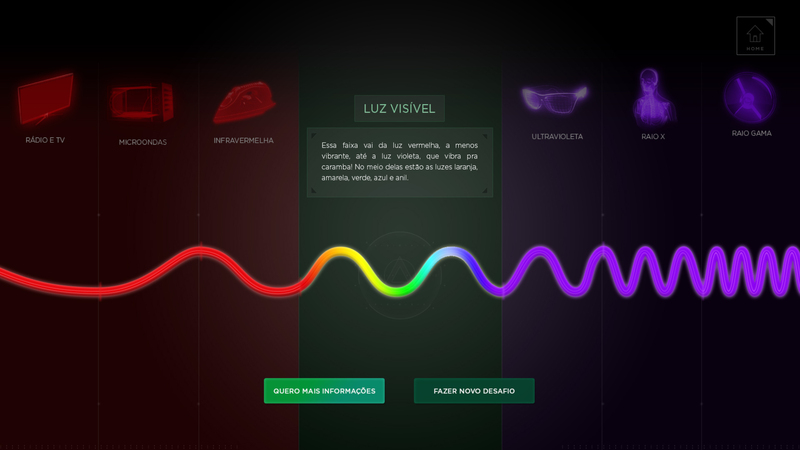 The experience teaches the public about electromagnetic waves and their different perceptions of visible and invisible light by showing through the hologram connected to the Touch Table everyday activities in which electromagnetic waves interfere. 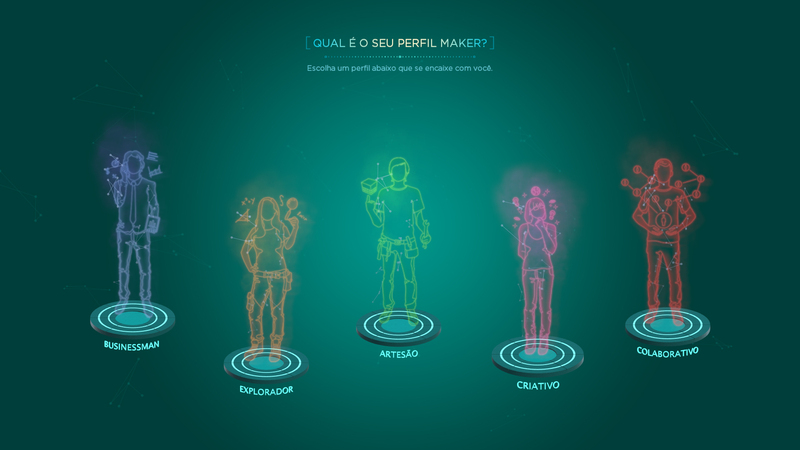 In order to help in the discovery of the personal profile maker of each student, the Maker Touch Table is one of the projected games that works by areas of interest, in which the student analyzes his own expertises in relation to a specific topics and receives suggestions on the area that his profile fits the best. In order to call people’s attention to SESI sales stand at the event, we developed a full-size human holography that invited people who passed by, through a proximity sensor, to know the stand. So, every time someone approached, the sensor started the hologram that began to talk to people. A great way to make an exhibition at events more interesting and interactive.